Terroir is a French word that refers to the impact that the local geography, climate, and soil composition has on agricultural goods. This can produce marked variation among even genetically identical plants. It is, in a word, the expression of place. When you can taste that in your food, that is terroir. We live and work in an incredible place, and we want our beers to reflect that as much as we can. To that end, we have been working with Maine farmers to help supply ingredients for our beers. To welcome the harvest, we recently made a Maine wet hopped ale that will be featured at the brewery this weekend. Made in a very limited amount, we encourage you to stop by and try it. The hops in this beer are centennial hops, supplied by the great people at The Hop Yard and grown in Ft. Fairfield. 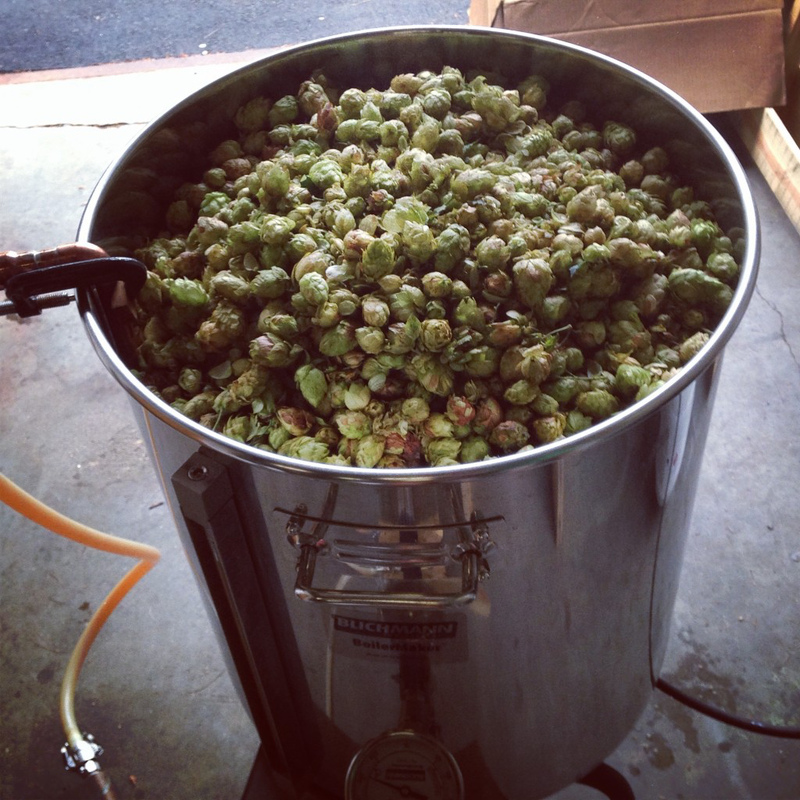 These are wet hops, picked right from the bine and used in the beer without being dried or otherwise processed. The barley malt is all Maine grown and sourced, from our friends at Blue Ox Malthouse in Belfast, and the wheat is from Davy and the cool people at Maine Grains in Skowhegan. I have used Maine Grains flour in the bread I bake for my family since they opened, and I am very excited that we are now using them to supply the raw grains for all of our beers. Tied together with our local water and our house saison yeast, this beer is about letting these ingredients express themselves. Come taste what Maine has to offer.